A raster image is made up from pixels, like the picture obtained from a scanner, or the screen image on a computer monitor. It has a finite amount of detail which is dependant upon the image size and resolution. The closer you look at a raster image the more coarse it appears. If you magnify a raster image the pixels just get bigger, and you don't see any extra detail. A vector image is stored as geometric objects, such as lines and arcs, which are drawn between specific coordinates. If you magnify a vector image you see the lines more accurately, and the line edges stay smooth. Vector drawings are utilised in CAD (Computer Aided Design) and GIS (Geographical Information Systems) and other applications where accuracy is important. A raster to vector converter translates a raster image into the corresponding vector image. 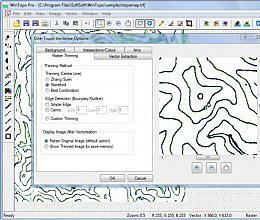 WinTopo Freeware is the complete solution for users wanting to do small volumes of raster to vector conversion. 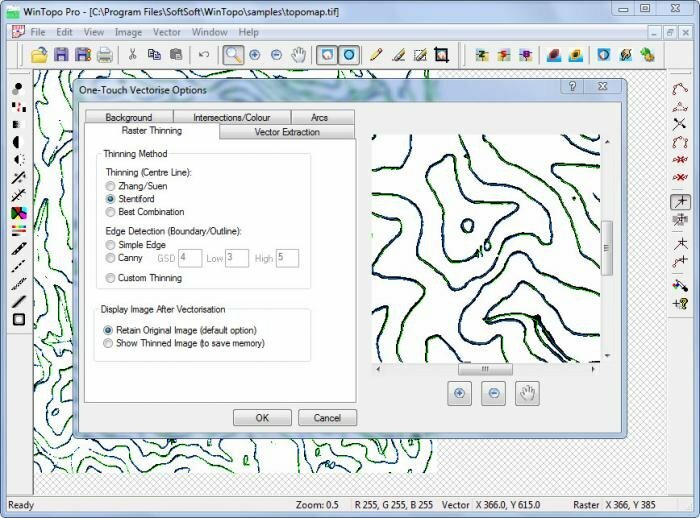 If you need more image processing features, batch processing of large quantities of drawings, or more vector tools, take a look at WinTopo Pro. * WinTopo download link provides freeware version of the software. No one has rated WinTopo yet. Be the first to rate this product.